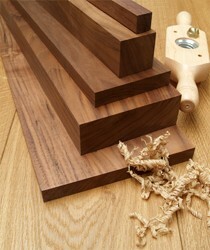 The fastest way to find reliable oak suppliers is by searching for them online. However, you need to be smart and to pay attention to many details, in order to be able to find the best business partners. The tips in this article may be able to help you find the best oak suppliers to suit your needs. First of all, you should be aware that reliability and trustworthiness aren’t the only details you should take into consideration when searching for suppliers of such raw materials. It’s also important to make sure your chosen supplier is able to deliver you the amounts of oak you need, on regular basis. If you only need one order, you may only ask that company if they can send you the whole amount you need. However, if you need regular deliveries of specific amounts of wood, you need to make this very clear to your potential supplier. This is the easiest way to avoid further trouble. Don’t forget to add the estimated quantities to be delivered on monthly basis to your agreement with the supplier. This is going to be your warranty that you will always have the timber needed to go on with your projects. It’s also a good idea to ask all potential suppliers for references of their former or actual customers. You should contact a few of them to ask them about their relationship with their oak provider. This is how you can rule out companies that deliver low quality stuff, as well as those ones that can’t stick to a previously agreed delivery schedule for the entire duration of your agreement.